Father’s Day was created in the 19th century as a way to honor and celebrate the man who has made a difference in your life. It is a great opportunity to express how important your father or the dad of your kids is to you. Father’s Day 2015 is coming around the corner. Time to prepare gift for your dad or your kids’ dad now! Instead of tie, a baseball cap or perfume, give him a special jewelry gift which he needs or just for fun. If you are trying hard to find a perfect jewelry gift for Father’s Day, don’t fret we are so excited to share this round up of handmade gift ideas for father’s day that you can purchase or make for very little cost but guarantee that anyone would be happy to receive these gifts from this fun collection. From leather jewelry, beaded jewelry to metal jewelry, from braid technique to wire wrapped technique, here are genius jewelry gift ideas from Pinterest for this coming Father’s Day! Enjoy! Bracelets seem to be the most common and fashion jewelry for men to wear. Men’s bracelets can be made of different materials, like leather cord, suede cord, jewelry wire, chains, beads and else jewerly making supplies. Here are the example lookbooks in this post, including leather bracelets, beaded bracelets and metal bracelets. Choosing the appropriate type of bracelet to show your love to your fathers is a simple but great idea. If your father or your children’s dad is a super fashion guy, you can also choose a necklace as a gift. Men’s necklaces are special addition to men’s outfits! 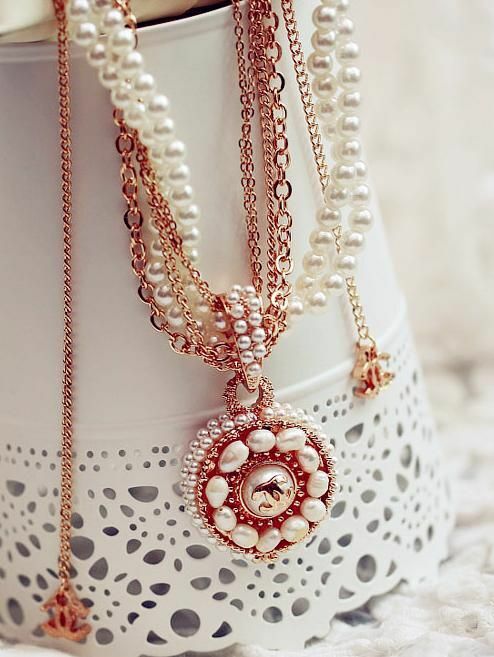 They are commonly in leather braided necklaces and pendant necklaces, like wire wrapped gemstone pendant necklaces, hand stamped necklaces and glass cabochon pendant necklaces with your family photos, etc. When google Father’s Day jewelry gift ideas and gather images from pinterest, there are many ideas including ring choosing ideas. 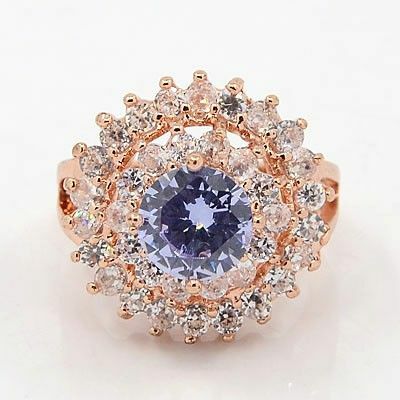 It seems one ring style is currently head and shoulders above the rest, in terms of popularity, the Cubic Zirconia Rings. Mothers’ Day 2015 is coming soon; it’s a great day honoring our dear moms. Do remember to tell your mom that you love her so much and boldly express your love to her. Usually we will send flowers and gifts like a box of chocolate, a card, jewelry and so on to mom in this day. These are really classic routines and you will cheer your mom up. And the chocolate are easy to choose as you can just pick your mom’s favorite taste, while it is not easy as well to choose the jewelry. If you are looking for jewelry gifts for Mothers’ Day, this is the right place for you. We have collected the top 5 jewelry gifts ideas for Mothers’ Day this year, from heart pendants, pearl jewelry to handmade stapmimg jewelry. 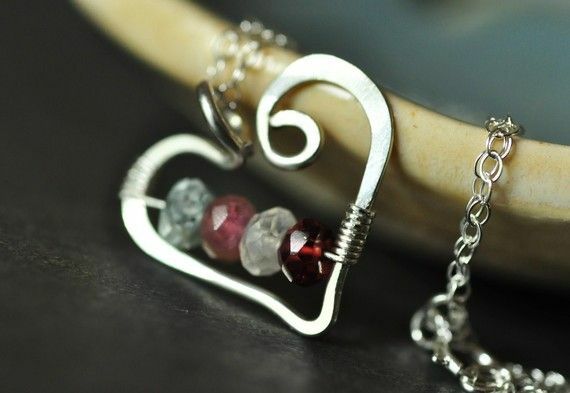 Heart-shaped jewelry is a great way to show your love to your moms as the heart is the symbol of Love! No more words, this kind of jewelry gifts express your love directly! This is why heart pendant necklace is definitely the top picked jewelry gifts for Mothers’ Day. Pearl jewelry is elegant and timeless, which is a classic jewelry routine for Mother’s Day. Any kind of pearl bracelets, pearl earrings or pearl necklace are fine. 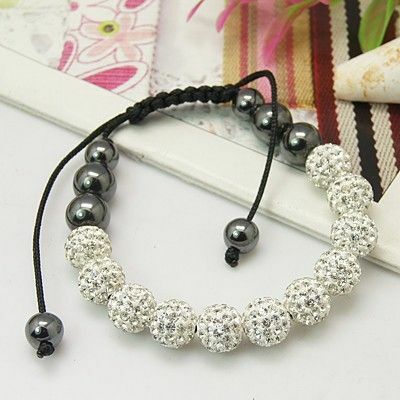 Shamballa bracelets are the popular jewelry in the fashion trend. 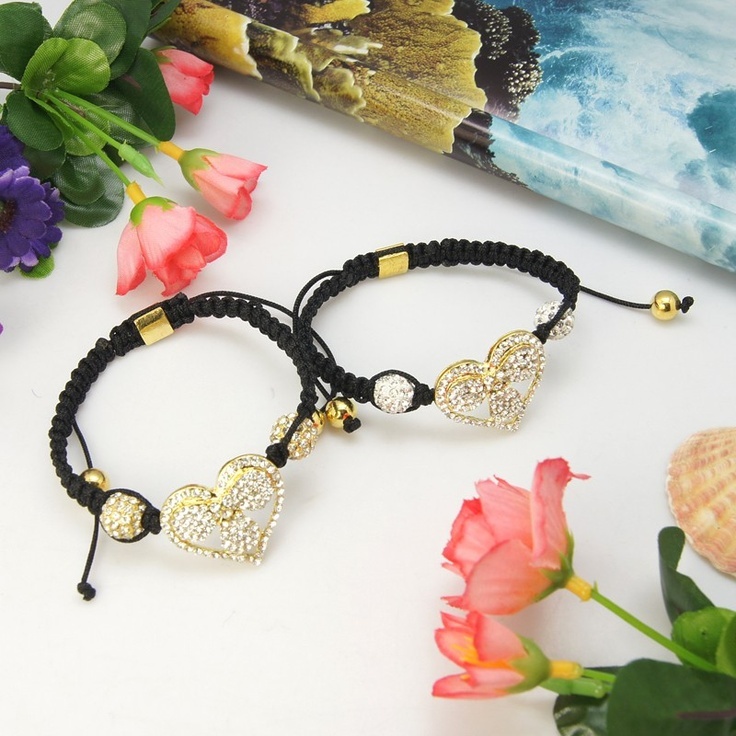 Moms would be glad to get a fashionable shamballa bracelet as gift and it is a top pick too. Birthstone, a gemstone that symbolizes the month of birth, is mysterious. And different birthstone represent different months. For example, the birth stone for July is Ruby, while Opal represent October. You can choose the gemstone that symbolizes the month of your mom’s birth month. 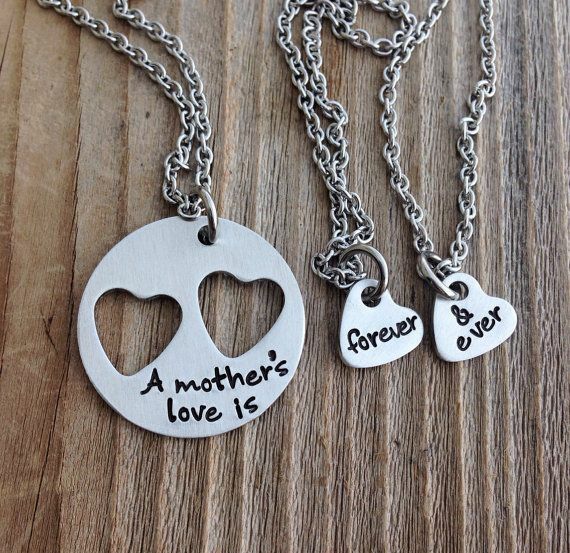 It would be much meaningful and fun to create a jewelry for your mom by yourself. And the top pick one is the hand stamped jewelry. You can stamp the words that you want to tell your mom in the blank stamping tag charms. The jewelry gift ideas for Mothers’ Day are endless. Here are some other DIY jewelry ideas for Mothers’ Day that we shared last week. Have a look at them and you will get fresh ideas.